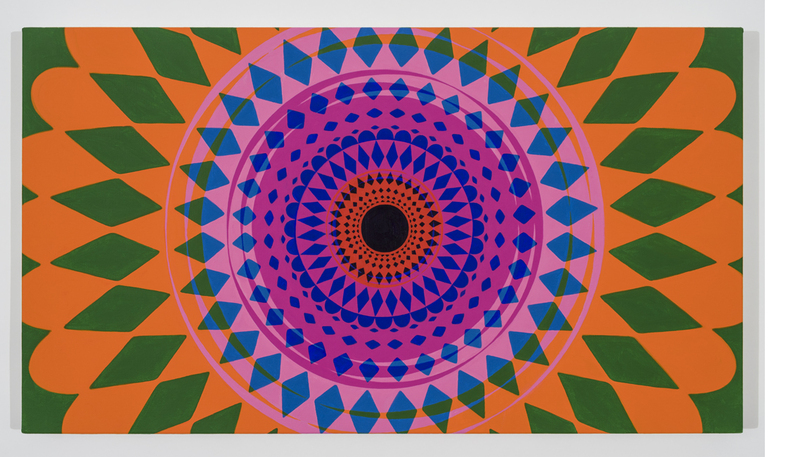 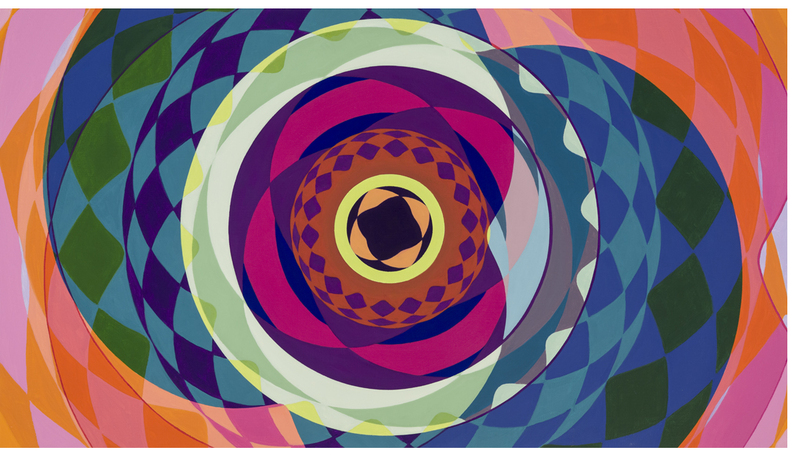 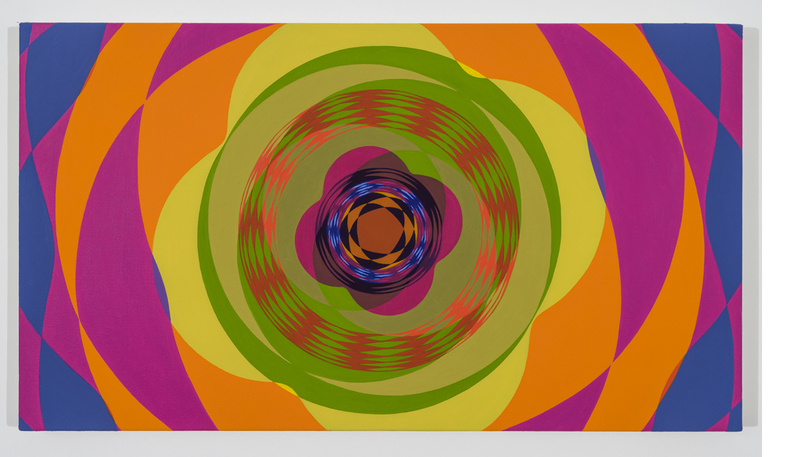 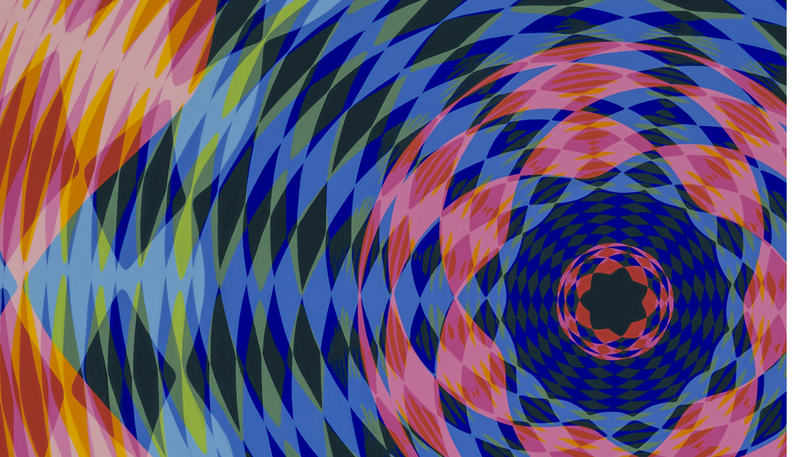 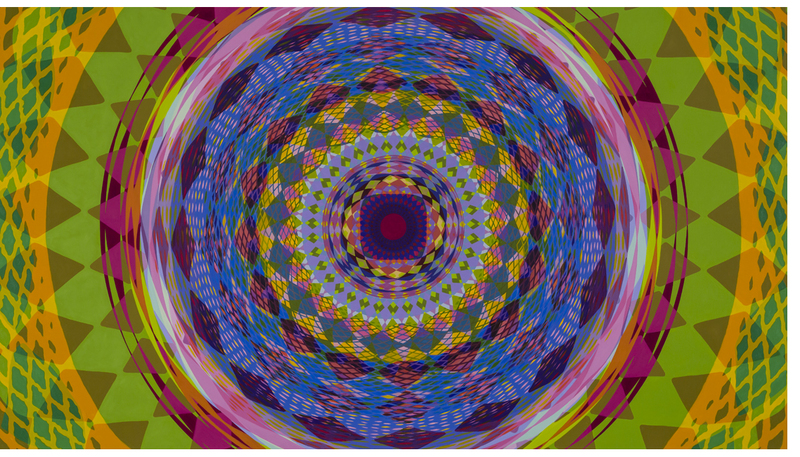 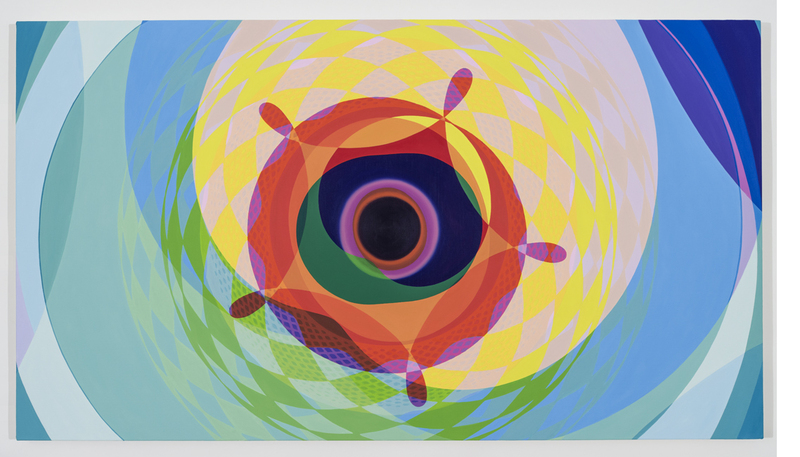 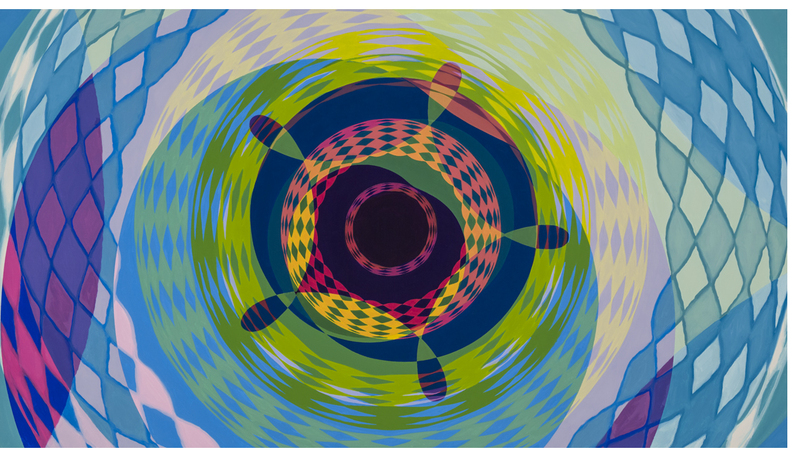 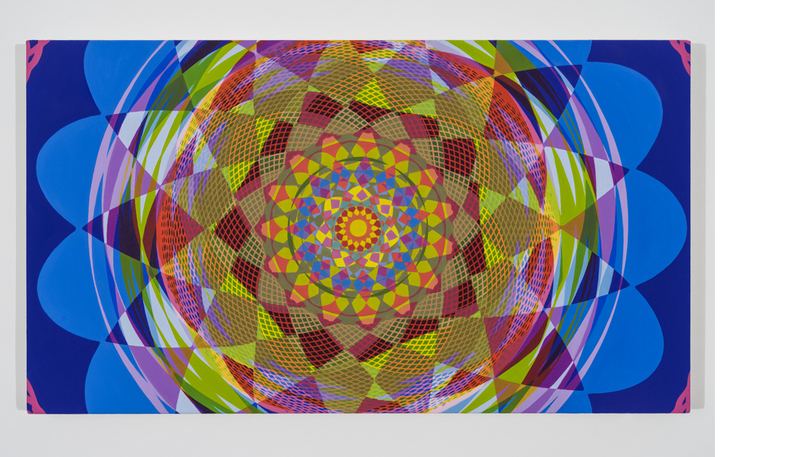 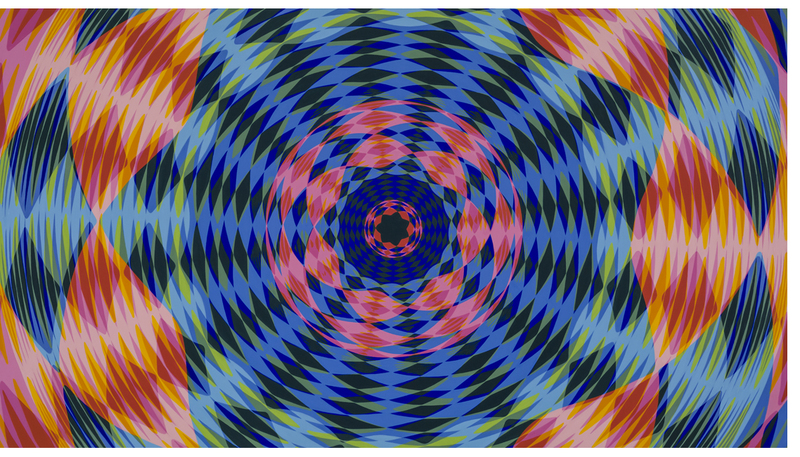 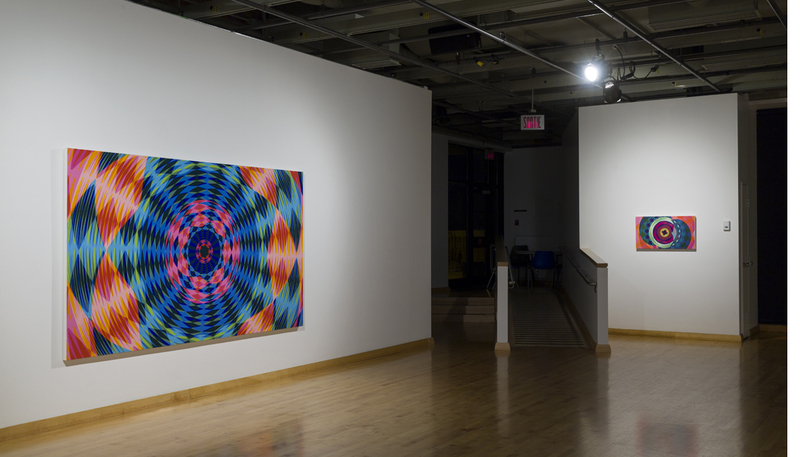 The starting points for these pieces are video stills produced while developing the ongoing video animation, Swirl. 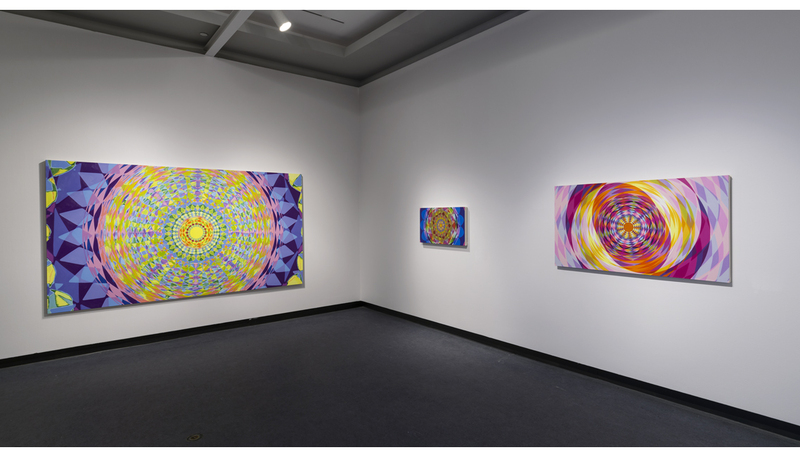 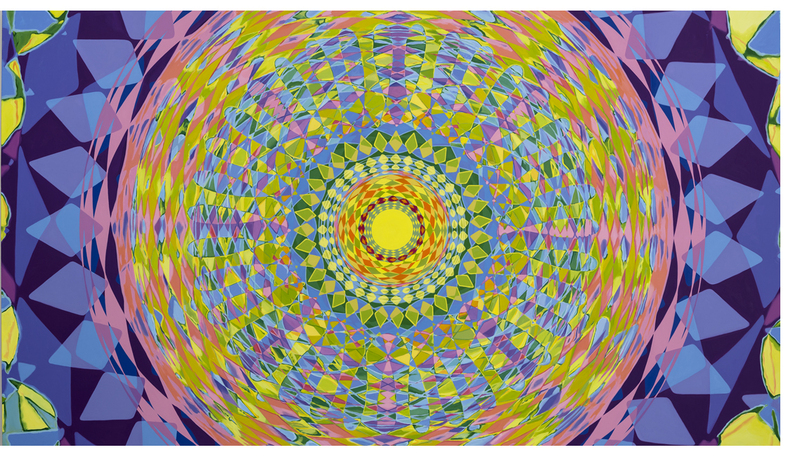 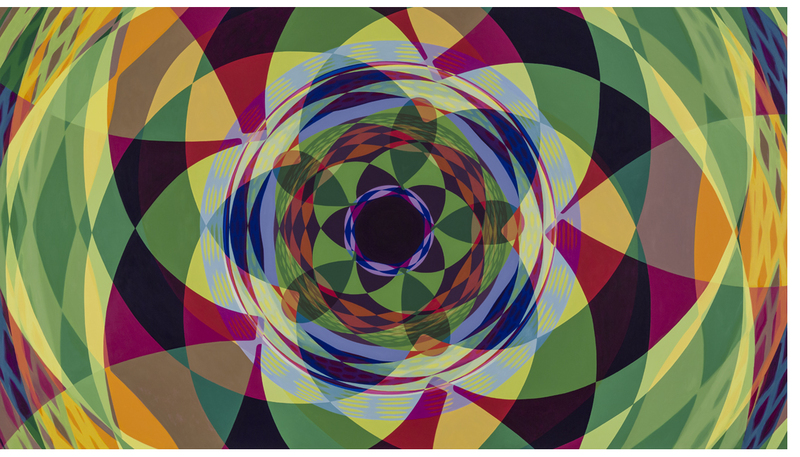 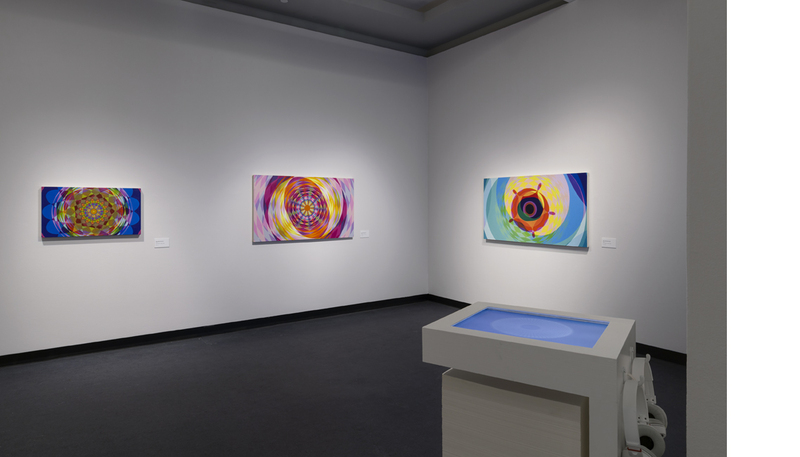 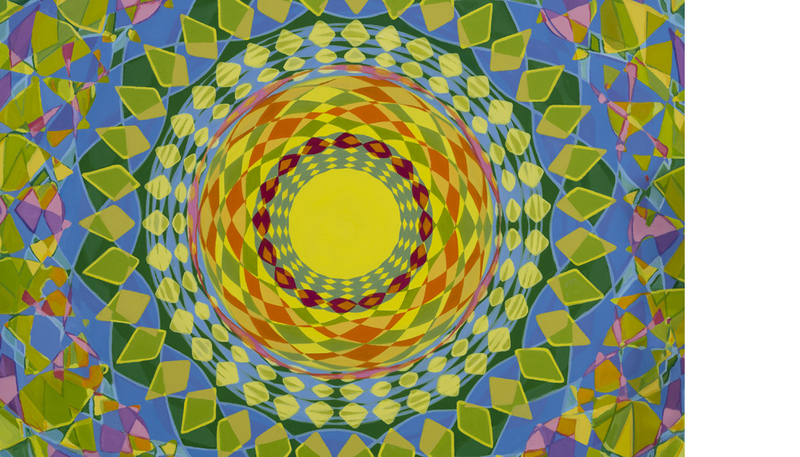 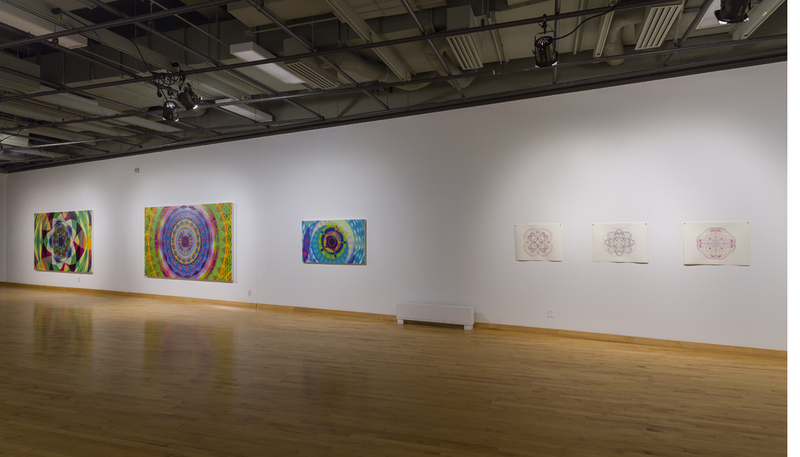 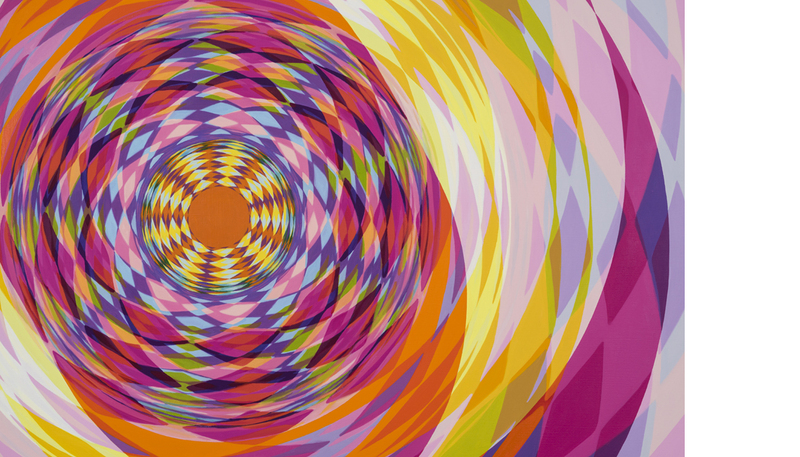 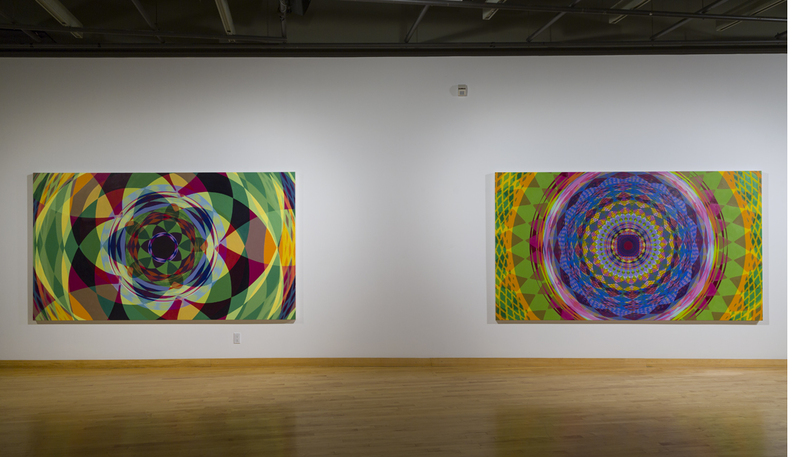 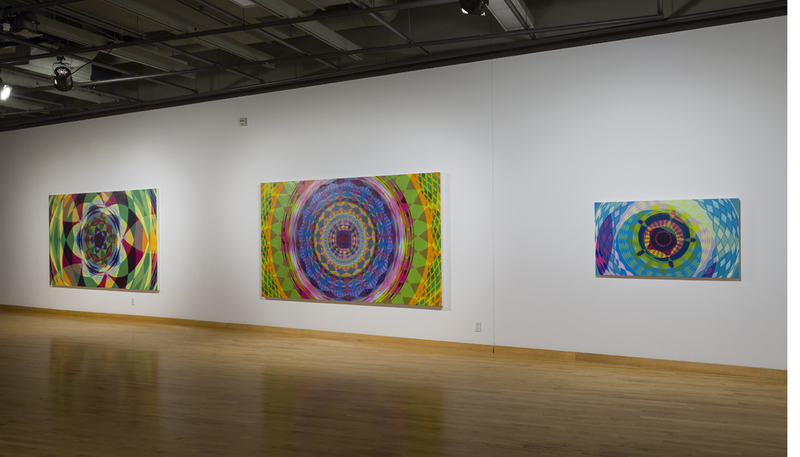 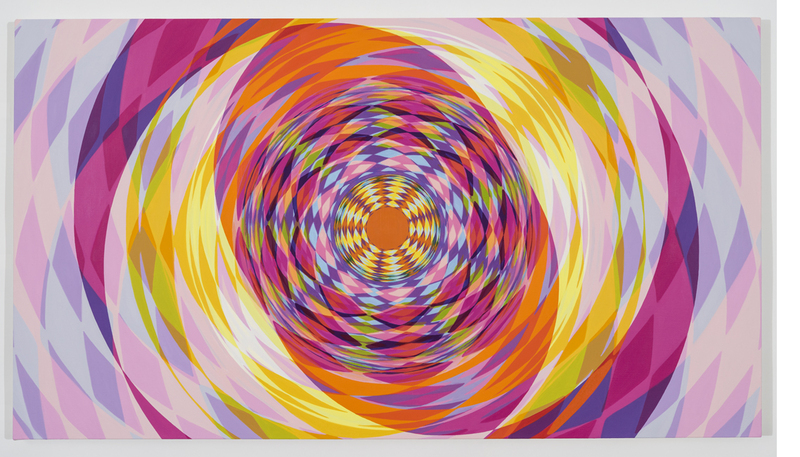 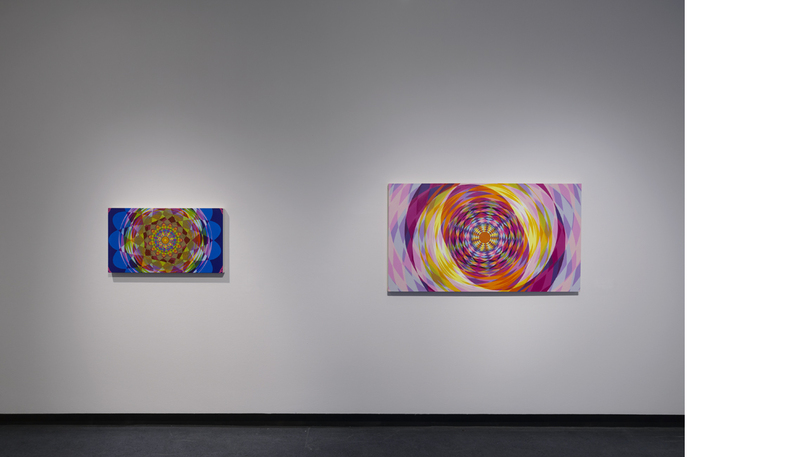 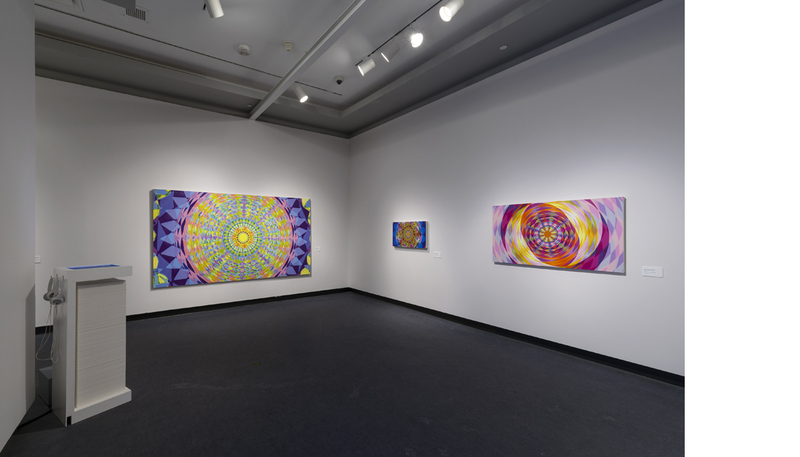 As with the video, these paintings emphasize the energies of dynamic colour combinations and an explosive sense of movement where rhythms and vibrations of patterns flicker, shimmer and radiate from the center of the paintings to their edges. 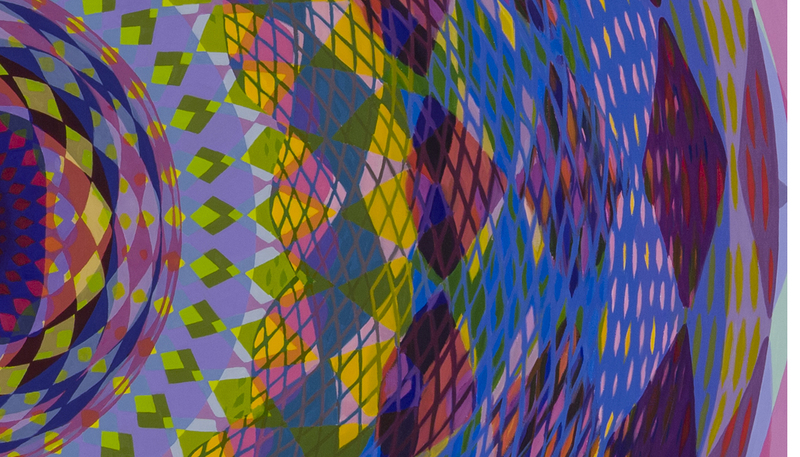 The titles are time codes and refer to where the image (still) is located on the timeline of one of the experimental versions of the video animation.